Well, it happened people. Now you know why we call it Believeland. Dominating the Golden State Warriors in game 7 of the Finals, our Cavs defended The Land to become the 2016 NBA Champs. And, as no other team has done before, the Cavs came back from a 3-1 deficit and WON the championship. At around 10:45 pm, on Sunday, June 19, Cleveland fans stormed the streets as we all knew we were experiencing the ultimate comeback of our city. This was our year. You can feel the electrifying energy in this city anywhere you go. Owning this title and trophy in Cleveland is about more than just basketball: it’s about showcasing our city’s worth. With 20 playoff appearances in 46 years, we finally did it. And we never gave up. If you’ve never been to a game, make this a bucket list item for sure. After all, the Cavs are the team of the city’s beloved son and proclaimed “King, ” LeBron James. You’ve got to see him in action with your own two eyes. The experience inside of The Q is second to none thanks to the nation’s largest HD arena scoreboard (which also shoots fire) and 60 percent of the arena’s 20, 500 seats being located in the lower bowl. 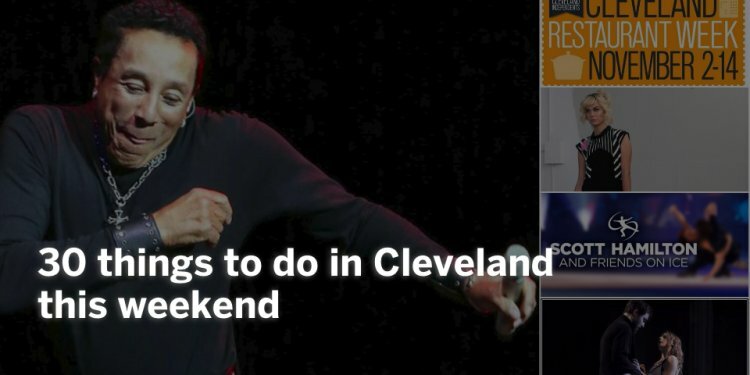 Add to that the booming music, break-dancing moves of the Cavs Scream Team, the hip hop dancing from the Cavalier Girls and the high-flying hilarity of Moon Dog, and you’ve got a show that rivals the on-court action from LeBron, K-Love, Kyrie and the guys. And, the best-in-class experience doesn’t stop with the on-court action either. The Q has elevated its stuff-your-face food offerings with options from local chefs. Taste what it’s like to live in Cleveland with a burger or Polish Boy at Iron Chef Michael Symon’s B Spot, tacos or loaded potato nachos at Chef Rocco Whalen’s Rocco’s at The Q, and gourmet pretzels and sausages at Jonathan Sawyer’s SeeSaw Pretzel Shoppe. About two million guests visit The Q each year. The arena hosts more than 200 events annually, including major concert acts, Lake Erie Monsters hockey games, arena football and family events such as Disney on Ice. Getting to the Q can be done in a variety of ways including public transportation, for options, click here. And if you are driving downtown, you can find parking options here.